I totally forgot to post the pictures of my refashioned knit that I took last week! Remember this? It's the shrug I made my mum for Christmas...only I lied. It wasn't supposed to be a shrug, it was supposed to be a short scarf thing (the Sirdar Big Softie pattern also pictured below), but I ruined it by casting on and off too tightly. The more I looked at it, the sadder I felt about not putting the beautiful Lang yarn to better use. I wanted it to be something that my mum would actually wear regularly, so I decided to unravel my hard work and start again. I'm so pleased that I did and I think my mum will agree that it was worth the extra wait...hopefully! Did I join the back beautifully or what? The range of colours in the Lang Mille Fiamme yarn are really stunning! 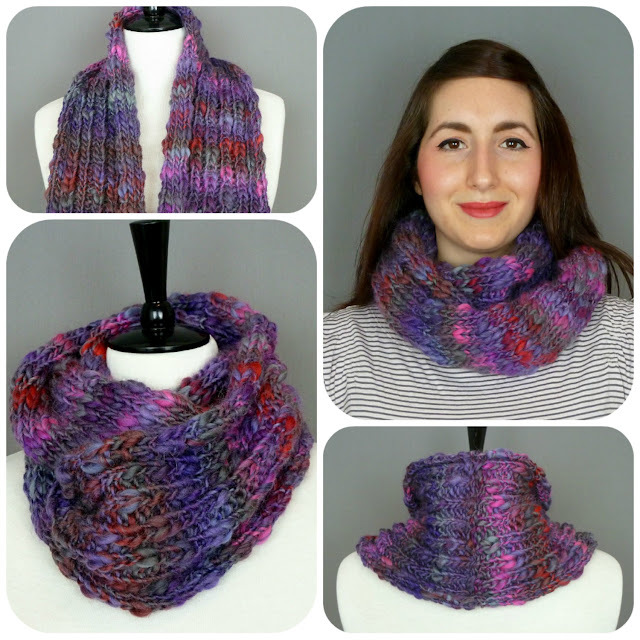 The free pattern I used really shows off the yarn's fabulous texture and the pattern can be adapted to produce a regular scarf instead of an infinity scarf...just don't sew up the two ends! 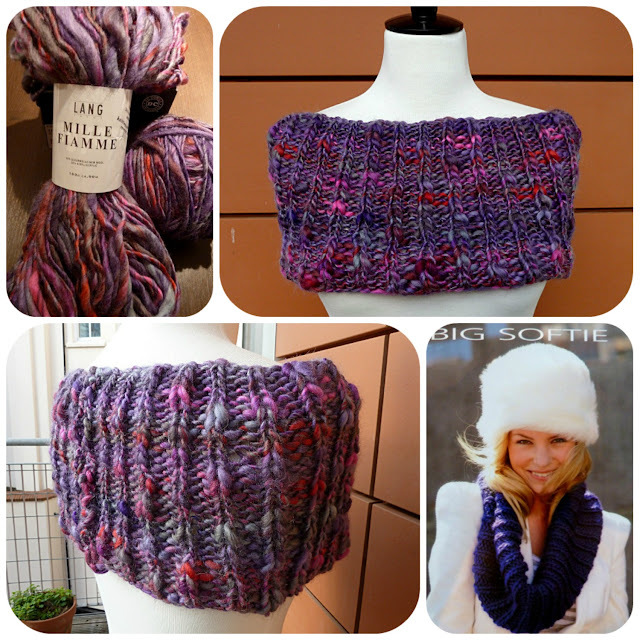 It's also a satisfying make as it knits up incredibly fast! Row 1 – K1 P2 (K1 P2) repeat 8 times to last stitch, K1. Row 2 – K3 (P1 K2) repeat 8 times to last stitch, K1. Repeat these two rows until all the yarn is used, leaving enough to cast off and stitch the two ends together, or leave open if preferred. Do let me know if you use the pattern, I'd love to see what you make! After a slow start to the stitching year, I’m relieved to be sharing my first completed sewing project of 2012! 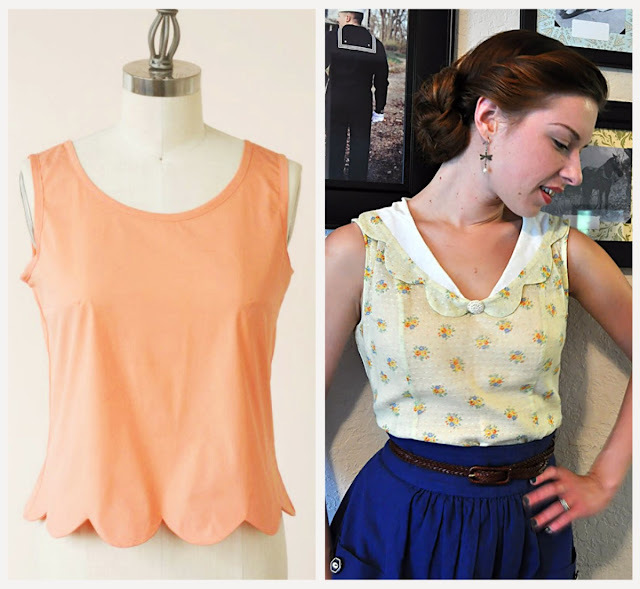 I’ve said it a million times before, but I was smitten the very moment I saw Casey’s genius tutorial (part 1 & part 2) for adding a 1930s-style scalloped collar to the Sewaholic Pendrell blouse. This was last year and despite incorporating the idea into a dress, it’s taken me all this time to apply the tutorial in the way it was meant to be applied. Sadly, my drafting skills leave something to be desired and I tend not to learn from all of my past mistakes! Had I remembered that during the making of said dress my collar came up a bit short, I would have saved myself some irritation this time round. Casey’s tutorial is as thorough as ever, so the mistake (which I haven’t figured out yet) is all mine! When I realised my Pendrell collar came up too short, I decided to cut my blouse at the shoulder seams I’d already carefully sewn *sob* and took an inch off either side. This did the trick and so I now have a collar that meets at the centre front neckline! Subsequently I had to lower the armholes to avoid extreme armpit tightness and I did lose some length of the bottom. Luckily it’s still long enough to wear tucked in and to be honest, I’ll most likely be wearing this beauty with jeans. Even though I may not actually wear this top for another season or two, I really love the summery feel of it and the collar is totally up my street! • Use a slightly heavier-weight fabric. I used a beautiful cotton/silk mix fabric (from Ditto fabrics here), which probably would have been perfect for a Sorbetto, but is perhaps a tad ‘flimsy’ for this Pendrell. Every time I pull it over my head I’m afraid I’ll rip it and I’m convinced it will get destroyed in the wash! • Add a self-covered button to finish off the collar. 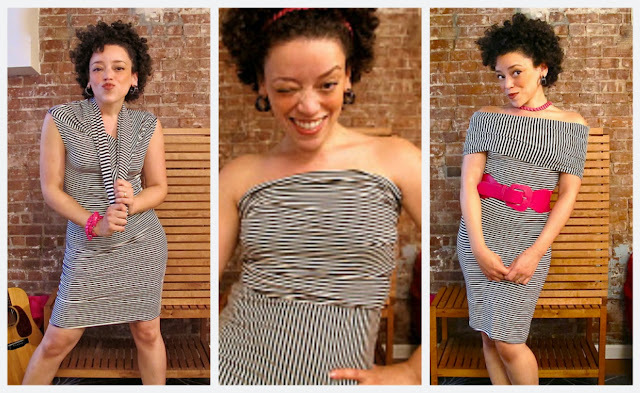 I would have loved to try this, but because of the lightweight nature of my chosen fabric, I think the neckline would have sagged under the weight. Already the neckline is a bit saggy, but that’s something I can live with in its current state. • Chose a less busy fabric print. I think a less busy print would help to show off the scalloped collar a bit more. Saying all this, I'm delighted with my little blouse and I can’t wait to get to take it for a spin in the sunshine…though I won’t hold my breath for that! These are mere lessons for the future – something that I can improve on and that might be helpful to others. If you too have tried Casey’s tutorial, please feel free to share a link below. I’d love to see your versions! I’ve spent countless hours being inspired by other people’s versions on Flickr…not that I’m an obsessive, compulsive stalker or anything! P.S. Even though these photos were taken at about 2pm, it was far too gloomy outside to rely on natural lighting. Pretty depressing, no!?! But at least I got to try my professional lights and backdrop for the first time! My apologies friends, for I'm a day late announcing my giveaway winners...and I'm going to build your anticipation for a few extra seconds! It's just that I enjoyed reading your January blues-busting tips so much (all of which can also be applied throughout the year), that I wanted to take a moment to share them with you. The most popular answers were exercising, taking long walks, spending time outside in the fresh air and taking holidays / weekend breaks. All fabulous ideas I think you'll agree! Less common, but equally great suggestions were eating lots of cake, investing in a daylight bulb, dancing to your favourite song, having lunch with a friend or gardening. Joanne from Stitch and Witter, you've won the delightful sewing patterns. Whoop! I love your style Joanne and I reckon these patterns will fit right in with the gorgeous vintage-inspired wardrobe you're so beautifully building up. Can you please leave me your email address in the comments below so I can get in touch about your address? Lauren from lladybird you've won the yarn and bamboo needles. Congratulations Lauren! 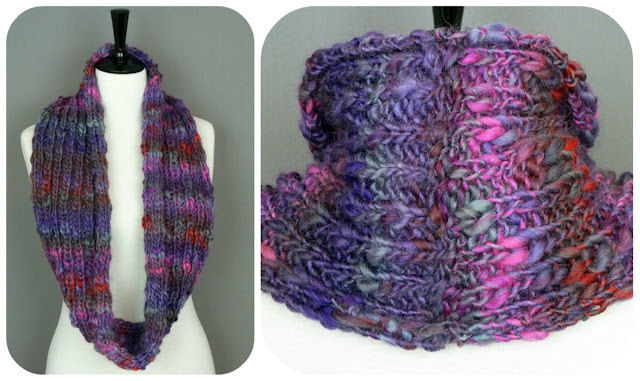 I'm impressed by how fearlessly you've embraced knitting recently, so I know you'll find a wonderful pattern to knit this yarn up! Thank you everyone for entering the giveaway, as always I'm sorry you couldn't all win. Hope you've all had an excellent weekend! I don't know about you lovely people, but social commitment wise, 2012 has got off to a roaring start for me. As nice as this is, it's left me with a pitiful amount of time to stitch and all I keep thinking is: thank goodness I didn't sign up to The Sew Weekly! Hats off to every single contributor...I have no idea how they do it! Ridiculously, I've got a handful of sewing projects on the go, all at various stages of completion. I need to focus more! In knitting news, last week I started a follow up course to the beginner’s one I took last October. Ironically, we addressed gauge and tension issues in the first lesson and I appeared immensely knowledgeable after all your brilliant answers to this post. Thank you all! 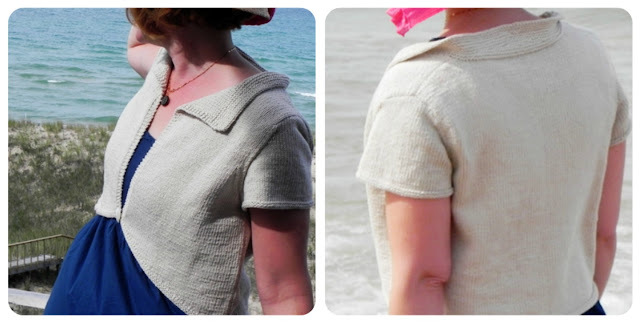 I can now also reveal that one of my three (I seem to like doing things in threes) current knitting projects, is the oh-so-cute Adeline cardigan – a Ravelry freebie. 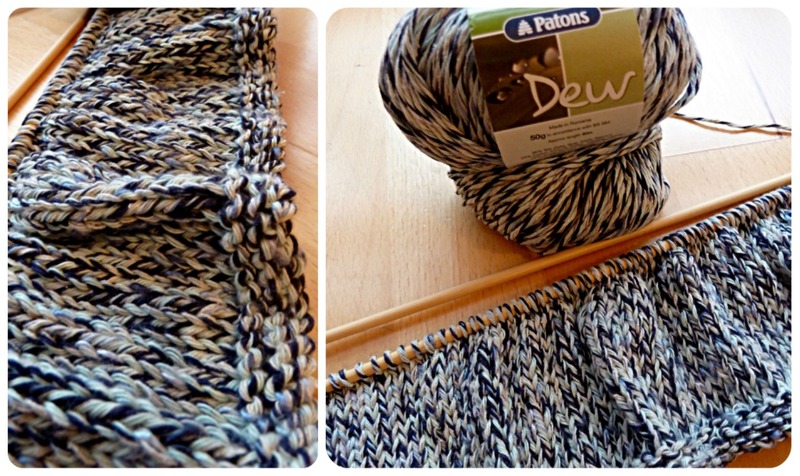 I'm knitting it up in Patons Dew, because I was attracted to the wonderful colours of the Ocean colourway. It's so fresh and reminds me of crashing waves. Adeline will definitely hugely challenge my current skills, so it will take me forever to finish, but I'm in no real hurry. Some things are worth taking your time over! Is anyone else finding January stupidly busy, or are you all getting plenty of stitching time in? P.S. Don't forget to enter my giveaway if you haven't already done so – it closes on Friday! I don't know about you, but even though I'm excited about the stitching year ahead of me, I still can't help feeling a touch of the January blues. The Christmas holidays are well and truly over, a few unwanted pounds have attached themselves to my body and payday seems like forever away! So if you're feeling a little low too, I'm going to try to cheer you up a bit with a special blues-busting giveaway. Yay! It's also a great opportunity to celebrate my new readers. Somehow I've managed to attract a whole 259 of you, so thank you all and welcome to my blog newcomers! Without further ado, for the sewers amongst you I have two vintage patterns up for grabs. 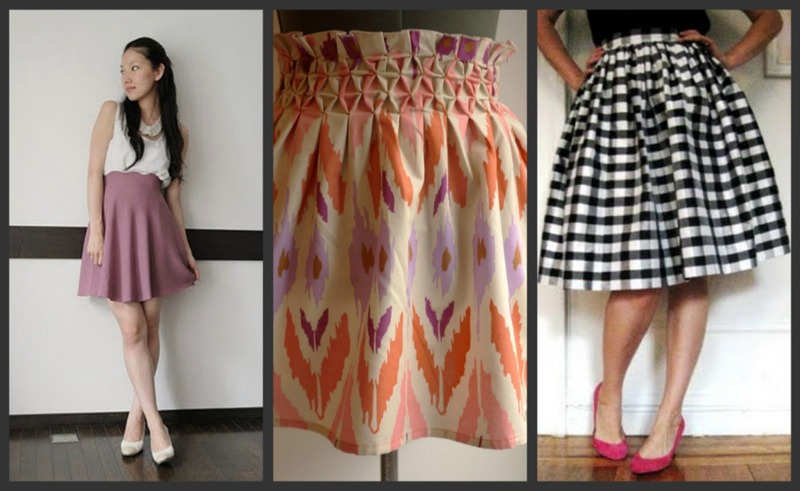 Vogue 7648 is from 1952 and in a size Medium (Bust 32-34). I adore the elegant lines of this pattern, but after a half-hearted attempt at it, I realised it really doesn't suit my body type. It definitely deserves a better home. McCall's 6724 is from 1963 and is a size 14 (Bust 34, Waist 26, Hip 36). Just look at that smocked yoke! Although both patterns are fairly small for modern day women, they should both be pretty easy to scale up if needed. 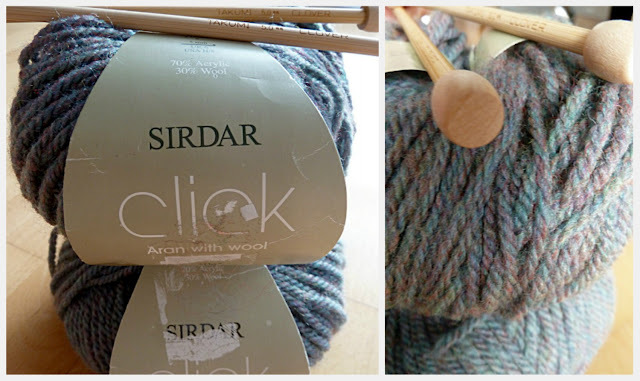 This is Sirdar click yarn, which is 70% acrylic and 30% wool. Each 50g/100m ball is knitted up with 5mm needles, which I've thrown in for good measure too. I haven't quite captured the unusual colour of this yarn, but it's very pretty! The giveaway is open to anyone in the whole wide world, as long as you're a follower of my little blog. Let me know if you're entering for the sewing or the knitting goods and don't forget to leave your email address too. If you feel like it, do share any blues-busting tips. Good luck everyone and thanks again for your ongoing support! Hello there knowledgeable knitters! I'm about to embark on a rather ambitious (for me) knitting project and I have a little question that I'd appreciate some help with please. It's a rather silly question, but when testing your gauge, are you supposed to measure your test square completely flat or 'relaxed' with the edges slightly curled? Thanks in advance for your nuggets of wisdom and I hope you're all having a good weekend! Happy New Year everyone, welcome to my first post of the year! I don’t have a finished project to show off yet (I’m working on four things as we speak though), but I do want to share one of my hopes for this year. Despite not setting myself specific aims/resolutions/targets for 2012, there are of course things I want to achieve. Especially new sewing techniques like trying out piping, pin-tucks and the like. Double Agent Dress from Oonaballoona- not sure this is very 'me', but it would be great to have a go at sewing with jersey! You’ll notice that most of them are very summery, but it’s what I want to sew, so I’ll just have to layer up! You’ll also notice my slight obsession with scallops...I just can’t help being drawn to them! Is there a tutorial that you just can’t wait to try? Or better still, are there any you’d strongly recommend?